To implement positive change in Berlin’s cultural sector by embracing inclusion and increasing accessibility for artists, arts-workers, participants and audiences with all (dis)abilities*. We support individuals, museums, galleries, other arts organisations and comunities through knowledge-sharing, collaboration and raising awareness about inclusion and accessibility in the arts. *Our definition of disability is broad. We follow the social model of disability – this means that we view disability as a social construct where barriers are imposed on the individual, rather than the individual being defined by their medical condition or impairment. However we also recognise and respect that disability is defined by the individual and their lived experience. When we talk about inclusion and accessibility, we want this for all peoples, however they may identify: as sensorially, physically or intellectually disabled or impaired, with learning difficulties or mental health conditions, differently abled, diverse, crippled, mad . . .
We work with a selection of people from our pool of freelancers, along with existing organisations and associations who have a range of skills, knowledge and experience with disability, accessibility, inclusion and the arts. Each project is shaped to meet the specific needs of our clients, whatever their scale or goals. Inclusion lies at the heart of what we do: that means people with and without disabilities working together in a fair and equal way, and valuing the contribution disability brings to all areas of the arts. Berlinklusion is an initiative founded by a group of artists, curators, arts educators, mediators and facilitators with and without disabilities who want to make Berlin’s vibrant art scene more accessible to a wider range of people. We bring a range of experiences working with a variety of individuals and audiences in the arts, in Germany and abroad. KATE BREHME is an independent curator and arts educator based in Berlin. She holds a BA in Contemporary Art and an MA in Cultural Heritage Studies (both Deakin University Melbourne). 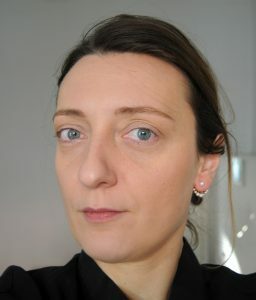 She has worked in Australia, Scotland and Germany on a variety of projects, exhibitions and events and since 2008 runs Contemporary Art Exchange, a curatorial platform for international projects, exhibitions and events providing professional development opportunities for emerging and young artists. Her project and research themes include place and cultural identity, labour and work, globalisation, disability and socially engaged practices. Kate has worked in arts education for organisations such as The Fruitmarket Gallery, The National Galleries of Scotland and Strathclyde University. Under the banner of Contemporary Art Exchange Kate curated ‘Through the Looking Glass Dimly’ (2012), an international collaboration project with two visually impaired artists which featured as part of the Edinburgh Art Festival. After relocating to Berlin Kate organised a British Council funded follow-up project ‘Common Bond’ (2013). Both projects explored the nature of accessibility in visual art and featured accessible exhibitions, events and workshops. From 2014-2016 she worked as project team member and moderator for Neue Perspektiven Gewinnen (http://www.neue-perspektiven-gewinnen.de/), a series of workshops in the field of inclusion in Berlin’s museums.Kate is currently a lecturer for the Master in Arts Education programme at the Piet Zwart Institute in Rotterdam and a DFG Funded Doctoral Fellow at the Center for Metropolitan Studies at Berlin’s Technical University where she explores the relationship between contemporary art production and access to urban space. KIRSTIN BROUSSARD is a visual artist and arts educator who splits her time between New York City and Berlin. She holds a Masters Degree in Interdisciplinary Arts in Arts Education. 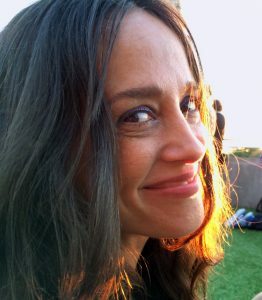 Since 2004 she has worked as a consultant, lecturer and teaching artist at numerous museums including but not limited to; The Museum of Modern Art, The Jewish Museum and The Museum of Arts and Design. In her capacity as a Museum Educator for Community and Access Programs at MoMA, she has contributed to the design and implementation of internationally recognised and award winning programs such as Meet Me at MoMA, Create Ability and Prime Time. The exploration of multiple viewpoints through her work with special needs audiences such as children with autism, adults with Alzheimer’s, the blind and partially sighted- has a huge impact on both her approach to education and her work as a visual artist. JOVANA KOMNENIC is an artist and art educator living in Berlin. She holds an MA Degree in Painting (University of the Arts Belgrade) and Art in Context (University of the Arts Berlin). She is enrolled in a PhD program at the University of the Arts Berlin in the field of Aesthetic Theory. Since 2009 Jovana has been experimenting with formats and approaches to multiple perspectives and accessibility in the arts and developing participatory programs in this field. Among the numerous institutions and groups she has collaborated with , are NGBK, The Berlin Biennale, Akademie der Künste, Berlinische Galerie and Machmit Museum für Kinder. 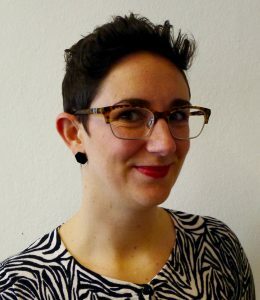 In 2015 she worked on the conception and organization of the conference “Inklusion ist schön” at Staatliche Museen Berlin, which focused on artistic approaches to inclusive art education through talks and hands-on workshops. From 2014-2016 she worked as project team member and moderator for Neue Perspektiven Gewinnen (http://www.neue-perspektiven-gewinnen.de/), a series of workshops in the field of inclusion in Berlin’s museums. DIRK SORGE works as artist and educator in Berlin. Leipzig and Chemnitz. He studied Visual Art at the University of the Arts Berlin (Meisterschüler/MFA) and Culture and Technology Studies (B.A.) and Philosophy (M.A.) at Technical University Berlin. He conducts workshops and guided tours focusing on inclusive practice for Staatliche Museen Berlin, Berlinische Galerie, The Berlin Biennale and other institutions. From 2014-2016 he worked as project team member and moderator for Neue Perspektiven Gewinnen (http://www.neue-perspektiven-gewinnen.de/), a series of workshops in the field of inclusion in Berlin’s museums. Dirk Sorge is a member of the Association for the Blind and Visually Impaired in Berlin and consults museums that plan to reduce barriers in their exhibitions. 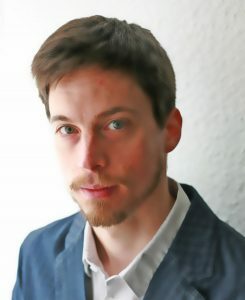 Currently he works as museum educator for the Industriemuseum Chemnitz.